Yesterday's controller experiments appear to have been a success. ..Yeah, this seems like it might work out.. 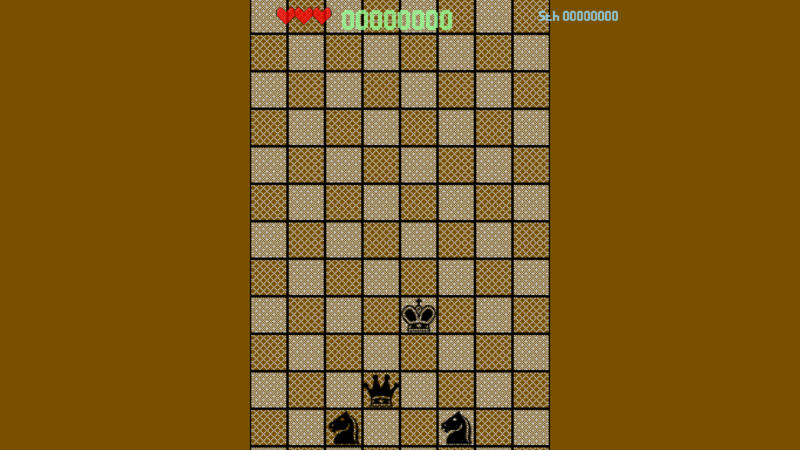 Chess pieces seem to be moving well enough, and you can select and move your chosen pieces as required. The next part of the puzzle will be getting the entire rest of the game to work like it's flowing in my head. I'm currently unsure how "impossible" the game might end up being, so balancing will be a bit of a focus. I might even attempt to pre-gen a level and run it through a gauntlet of plays to ensure it's do-able, but that will likely require a second version of the code with an AI player, and I'm not sure I'm up to that within the space of just a few days! Either way, it does at least seem like the game could be fun, and that's much better than last week where it took days to get to that stage.